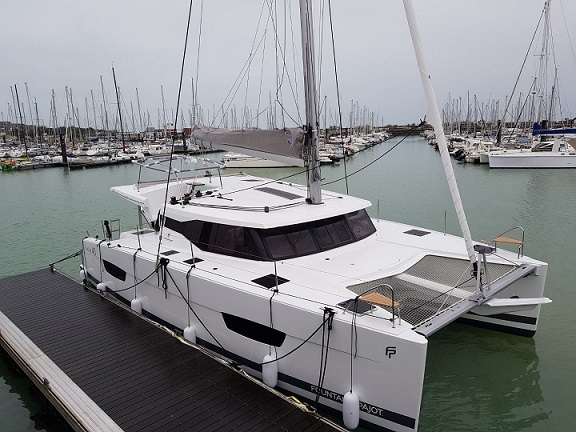 Captain Philippe Hoebeke and his crew aboard the Fountaine Pajot Lucia 4o arrived in St Martin to complete the delivery from La Rochelle. The video hints at the care taken by the crew to ensure the catamaran arrives in perfect condition. I particularly like the basket made by the First mate with the boat name on it. Nice touch.